Alexa Wilding’s sound definitely goes against what passes off as pop music these days, which is quite refreshing. In fact, this budding New York artist’s acoustic-dominated, introspective music certainly would have fit it quite well with the Lilith Fair over 10 years (and perhaps even this year’s festival incarnation, too). Wilding’s sound has several characteristics: it’s dreamy, atmospheric, lyrical and expressive—qualities that were on full display at her showcase at Rockwood Music Hall this past Tuesday. 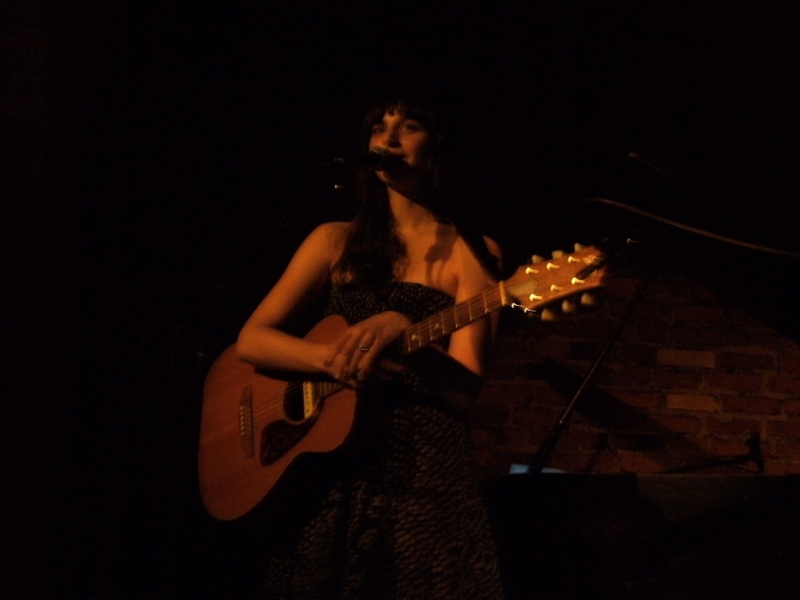 (She’ll be performing again at the same Lower East Side venue on Aug.18). Accompanied by another guitarist, Wilding performed songs from her new self-titled EP. Her finger picking style on the acoustic and movements (which kind of reminded of Joni Mitchell) really showed that she was one with the music as she ran down some strong tunes from the EP: “Light,” “Black Diamond,” “2 AM,” and the atmospheric “Bridges.” While the music is certainly gentle, there’s also sometimes a moody edge that is further evoked by her wistful, expressive voice. Given the quality of her performance at Rockwood Tuesday night, (not to mention a winning and charming personality) as well as the music from her EP, Wilding is certainly a first-rate emerging artist.